He was part of the big Manny Ramirez three-way-deal in 2008 that created the first "MannyWood" in LA. He was—in part—meant to replace Manny's "offfensive capabilities" in Fenway's left field. 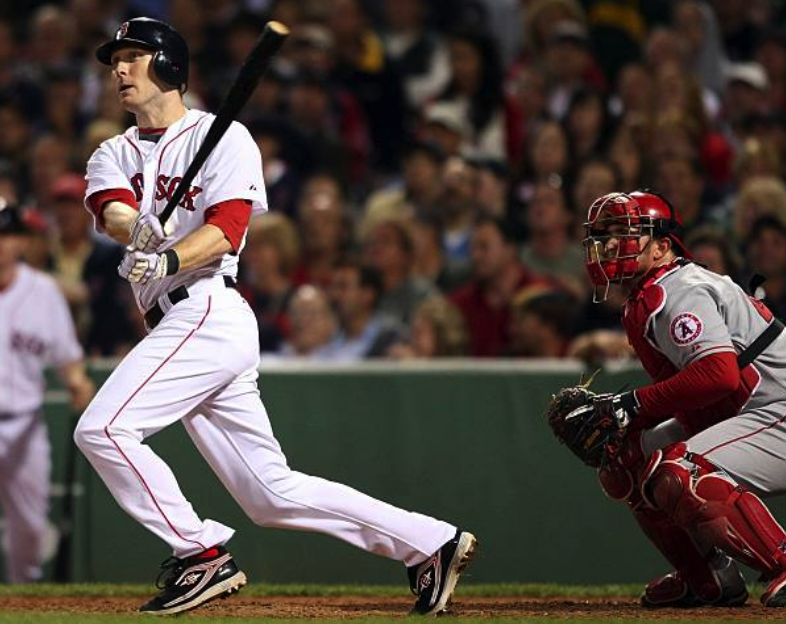 Jason Bay stayed in Carmine Hose for just about a year and a half (200 total games)—but while he was here, he produced. He hit .274 with 45 HRs and 156 RBIs over that brief span in Boston—making the All-Star team in 2009 and finishing 7th in the AL MVP voting. Moreover, in 14 post-season games with the Red Sox, Bay hit .306, with 3 HRs and 9 RBIs. This guy was good—and he was still just 30 years old. Then, as quickly as he arrived, he was gone as a free agent to The Metropolitans. His three seasons in Flushing were marred by injuries and poor performance. Bay turns 40-years-old today—having last played over five years ago. Wearing Red Sox uniform number 44, he created many good memories with a sweet right-handed swing. Happy birthday, Jason!